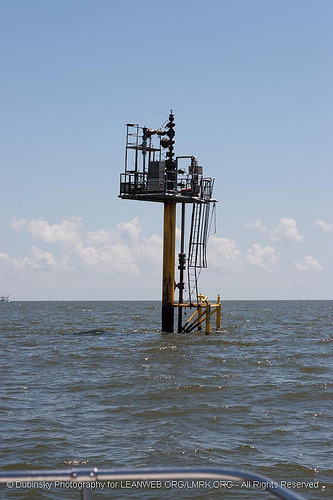 So there have been lots of questions and not very many answers over the past few weeks regarding the status of leaking wells in the Gulf. Where are they? Are they leaking? How much? Who owns them? 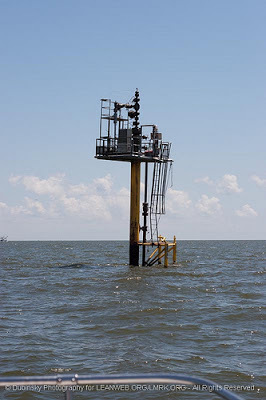 Questions led to more questions, so the Gulf Monitoring Consortium (GMC) took action to get to the bottom of things. 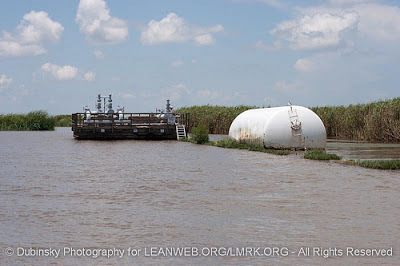 A possible spill was originally reported off of Venice, LA (see our blog) on June 8. Later that same day, an oil slick in that general vicinity was sampled and tested by scientists from National Wildlife Federation and LSU, who determined this was fresh crude oil unrelated to the BP spill. On June 10 our GMC partners at SouthWings took Jonathan Henderson of the Gulf Restoration Network on a flight to see where that leak was coming from, but they didn’t find anything near the coordinates where the leak was originally reported. However, they DID stumble across an actively leaking well not far away, in Breton Sound. You can read Jonathan Henderson’s blog here. 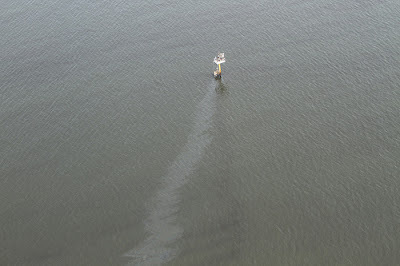 Below is the well, obviously leaking, photographed on June 10, 2011 during the overflight. You can see all the photos taken on that flight here. Many, many thanks go out to the Lower Mississippi Riverkeeper, who on June 17 went out in a boat to inspect that well in Breton Sound. Paul and Michael Orr went out check the status of the well head. What they found was that this well was no longer leaking but there was a distinct petroleum odor on site. The well looked somewhat battered, as if it was hit by a vessel, but there was no oil leaking from it. 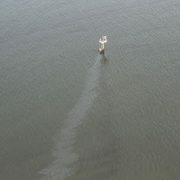 Hopefully this puts to rest the saga of the leaking well in Breton Sound for now, but the Gulf Monitoring Consortium is hard at work keeping an eye on things, because sadly there will, no doubt, be many more leaks to investigate. 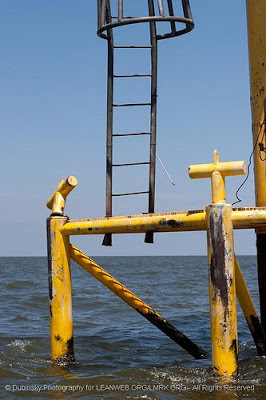 oil companeys should be required to close all wells that are shut down at or below the sea floor.